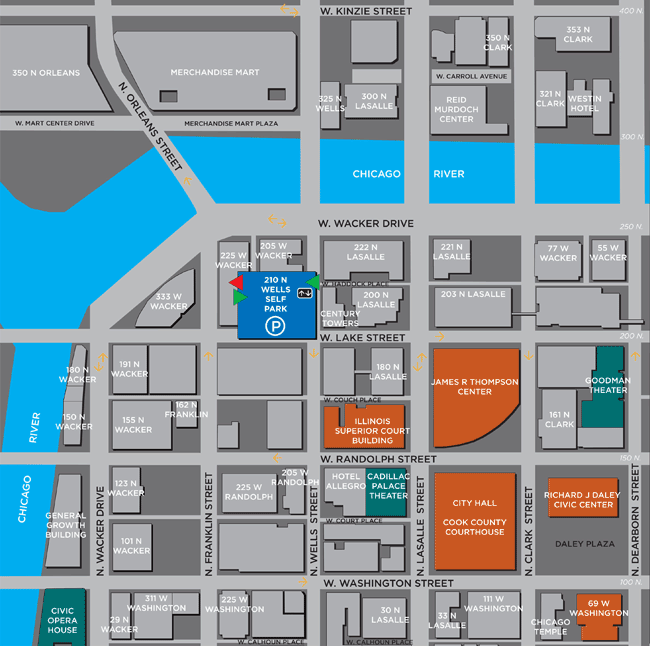 Welcome to 210 North Wells Self Park, located at the northwest corner of Lake and Wells streets; one block south of the Chicago River in the downtown Chicago Loop Business District. Parking downtown Chicago has never been so easy! 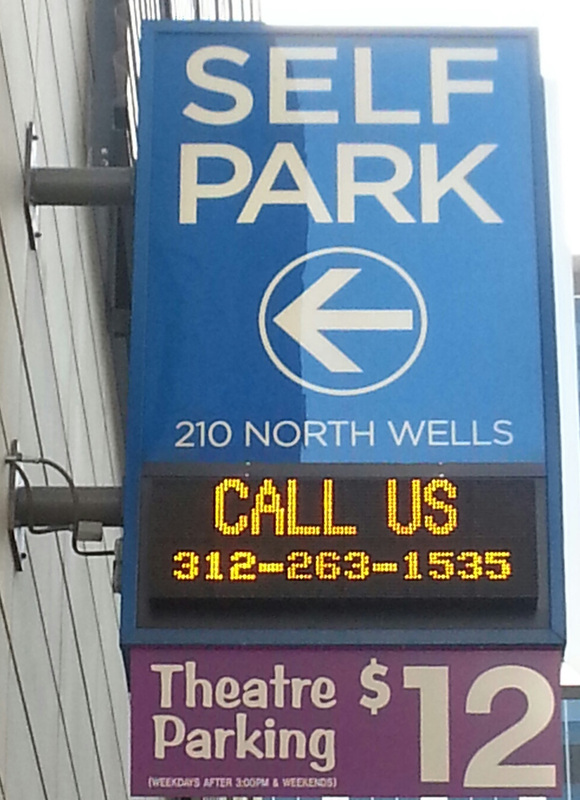 With easy access from Wells Street and both access from and egress to Post Place, its efficient functional design, and full automation, 210 North Wells Self Park provides the consumer with a seamless parking experience. Upon arrival, scan your barcode permit on the red light scanner at the entry lanes and you will be let in. Even if the sign says the garage is full, we have saved a space for you! When ready to exit, scan your barcode permit on the red light scanner in the exit lanes and you will be let out. Early entry fees will apply. Open 24/7, Handicap Accessible, Indoor/Covered, Attendant On-Site. This pre-purchased credential is good for the dates and times as listed above. 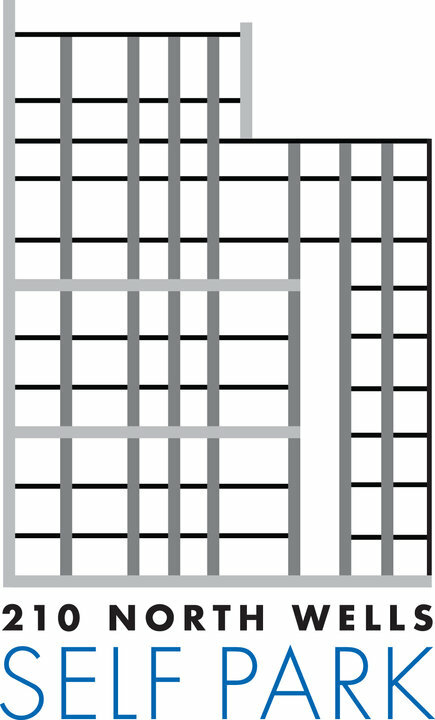 Any overstay related to parking is subject to additional fees. Cancellations must be received 24 hours before the "start time". To cancel, email your cancellation request along with your receipt to info@210nwells.com. This credential is valid for single use parking unless it specifically states you have "in and out" privileges. This parking pass is not transferable to another time or location as rates are negotiated per location. Unauthorized duplication may result in non-admittance to facility. To check the status of your reservation, please log-in at https://secure.parkonect.com - this is for registered users of Parkonect only. If you purchased without creating an account, please email info@210nwells.com.